Notes to Myself, is a project by New York-based Australian illustrator, typographer, and 3D artist, Luke Choice. The project is about a series of typographic artworks that showcase Luke Choice’s personal random notes, quotes, and other peculiar writings in his collection. 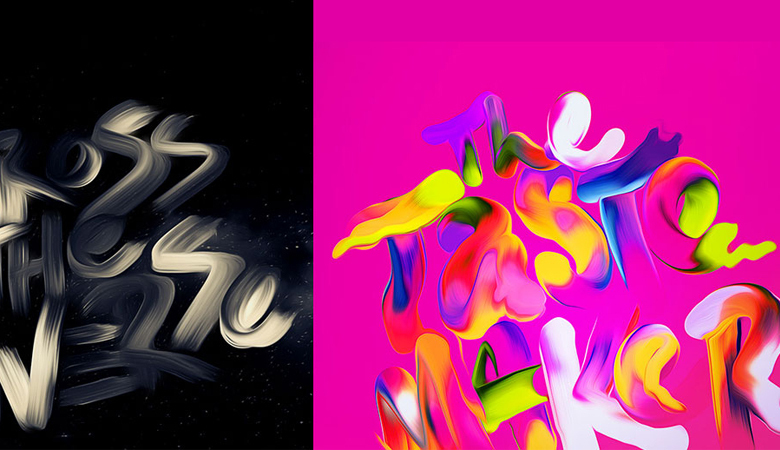 With a balanced mixture of typography and 3-D illustration, the brush script artworks then result to a unique and playful aesthetic. As Luke Choice do so describe his body of work, it “covers multiple facets of design, illustration and typography”. Notes to Myself has been receiving praise for its one-of-a-kind typographic style and use of striking colors. Take a look at the brilliant artworks below and head over to Velvet Spectrum to view more of Luke Choice’s works for clients such as Nike, American Express, PlayStation Network, Ministry of Sound, Universal Music, and EMI.